For the first cheat click the smallest tree behind the guy to get the Sea Breeze for $450. 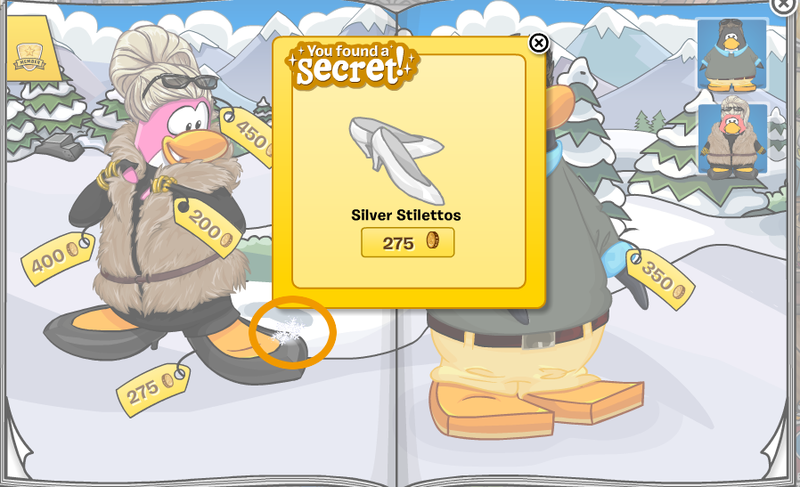 On the next page click the snowflake on the girl's shoe to get the Silver Stilettos for $275. 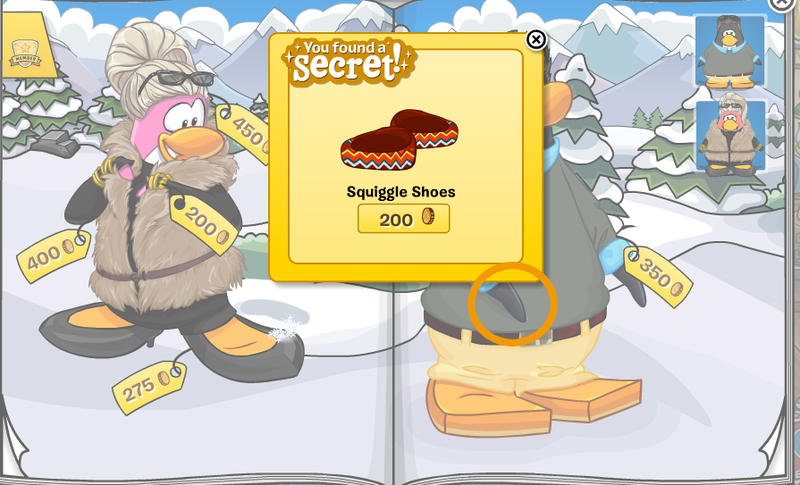 Then click the boy's left arm to get the Squiggle Shoes for $200. On the page following up click the skull on the girls shirt to get the Cozy Orange Scarf for $200. On the page after that click the paintbrush that the penguin is holding to get the Viking Helmet for $200. 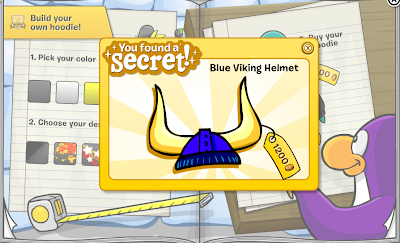 Then click the paintbrush 3 more time to get the Blue Viking Helmet for $1200. 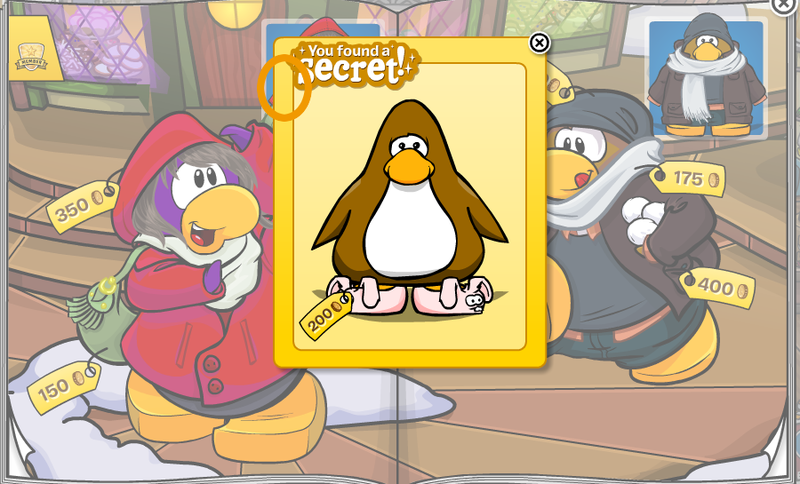 On the next page click the purple penguin's right arm to get the Tree Costume for $600. Right after that on the next page click where the doorknob used to be to get the Bunny Slippers for $200. The final cheat is on the last page of the catalogue. Click the pink penguin's right foot to get the Snowboard Boots for $275, the Toboggan Suit for $350 and The Tousled for $450. 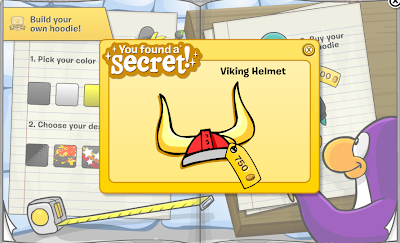 It's really cool the Club Penguin added pages for the non-members, but for the older members of Club Penguin it will kind of be annoying because some rare items are buy-able now. I think that Club Penguin has certainly changed over the years a lot and the Spike Hike is going to be really exiting at Club Penguin. What are your thoughts on the new catalogue? Leave a comment and let us know!